This week sees the 500th anniversary of the moment when Martin Luther nailed his 95 theses to the door of a church in Wittenberg, and the Reformation began. 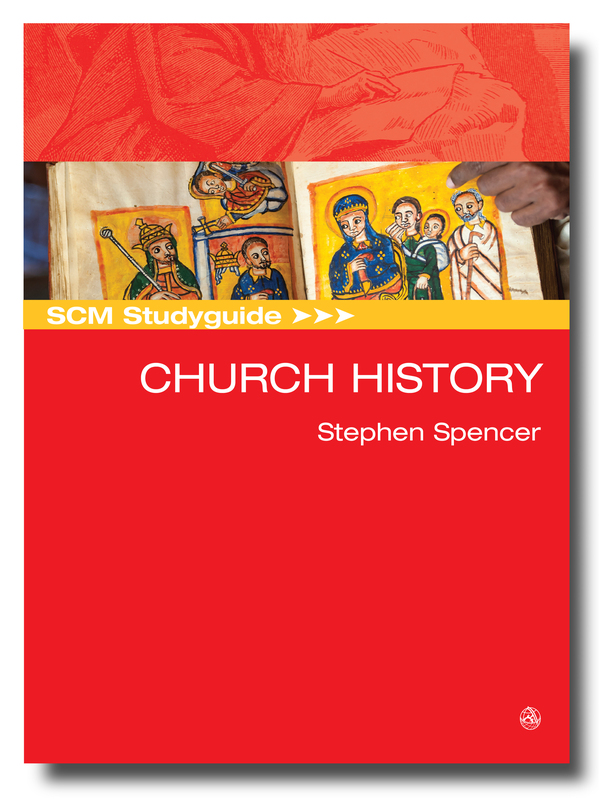 To mark the anniversary, we’re offering you a FREE chapter from our SCM Studyguide to Church History. In chapter 7 of the Studyguide, “Reformation Churches: Monarchial or Congregational” author Stephen Spencer considers Luther’s place within the wider landscape of the Reformation. The Studyguide offers an accessible and clear introduction for students of theology and history to the ways the church has evolved in its corporate life since its birth in the 1st century. To access the free chapter, click here . PS – All our Studyguides are on offer at 20% off at the moment. They cover a wealth of subjects within theology, from Liturgy to Theological Reflection, and from Ethics to Preaching. 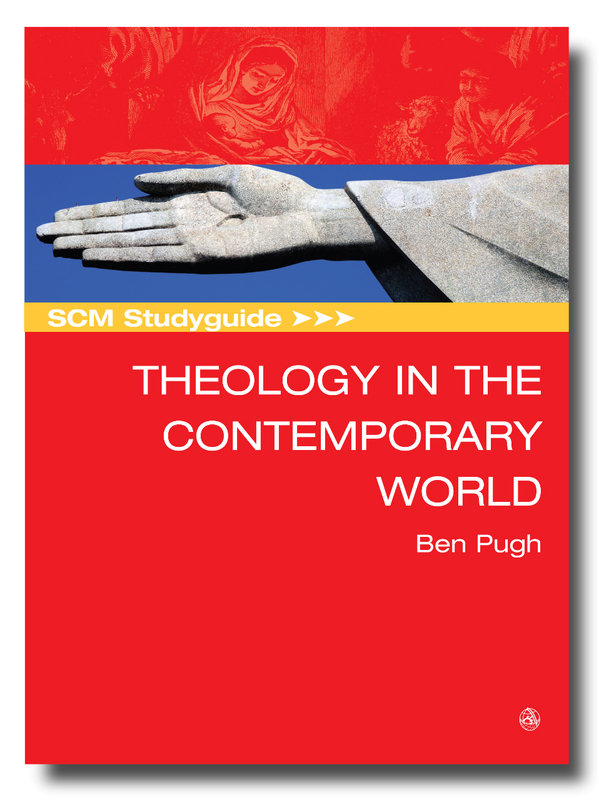 And next month we add to our line-up of Studyguides with the SCM Studyguide to Theology in the Contemporary World, described by Dr Emma Ineson, Principal of Trinity College Bristol as “A must for every student of theology”. This year saw the launch of SCM Research, a new hardback monograph series, publishing cutting-edge research from across the theological disciplines. This month, joining Animals, Theology and the Incarnation by Kris Hiuser, and Development Beyond the Secular, by Catherine Loy, we’re publishing Clergy, Culture and Ministry, by the late Rev Canon Dr Ian Tomlinson. Tomlinson served as Rector of The Benefice of Appleshaw, Kimpton, Thruxon, Fyfield and Shipton Bellinger in the diocese of Winchester for 37 years, but very sadly died in 2016. Shortly before his death, we were privileged to work with Ian on the process of transforming his thesis into a book for the SCM Research series. Following Ian’s death, Martyn Percy, Dean of Christ Church, continued the process of bringing Ian’s first book to publication. Ian’s book focuses on the work of the late Dean of Westminster, Wesley Carr, author of The Priestlike Task. Carr’s work is often overlooked and yet, as Ian Tomlinson argues, he had some profound things to say about the task of Christian Ministry. Clergy Culture and Ministry engages with Carr’s work to consider the difficulties and challenges faced by those in ordained ministry trying to interpret and understand what is going on in their congregation and parish, and why it might be happening. In his engagement with Carr, Tomlinson brings theory and practice into conversation by responding to each of Carr’s ‘propositions’ with a ‘critical incident’ from the author’s own parish experience. Tomlinson’s methodology is creative and innovative, and, says Alister Redfern, Bishop of Derby, “will be like a breath of fresh air to all who seek encouragement in the task of Christian ministry”. Below is an abridged extract from Martyn Percy’s foreword to the book. This book is about roles and identities in ministry. Written by the Revd Canon Dr Ian Tomlinson, it is a profound meditation in the life and work of a skilled pastoral counsellor, which Ian was, and rooted in a range of interlocutors, in particular Wesley Carr’s writing, the insights of the Grubb Institute and the influence of Bruce Reed. More latterly, this includes conversations with myself over the several years of Ian’s doctoral study, which itself is rooted in his failing health due to terminal cancer. This book is based on that study, and is as fresh, perceptive and original as one would expect from Ian. He died in October 2016, having largely completed it, and any failings or shortcomings in this volume must be attributed to me, not him – I was given the task of bringing this one and only book of Ian’s to publication. This is poignant for me. The book that has mostly shaped my own intellectual trajectory is a little-known work by the distinguished American contextual theologian, James Hopewell. Jim’s book, Congregation: Stories and Structures (1987], is exactly the kind of prescient contribution to pastoral studies and ecclesial literacy that Ian has sought to write. Jim, like Ian, died before his book was published, and it was Barbara Wheeler who was given the task of completing his work. Like Ian, Jim died of cancer, and reflected, as good clergy and scholars do, on what is happening to the person, and those around them, as they try and make sense of God and the world in the midst of happenstances, critical incidents and other moments in the life of a local parish church. This is no small matter to contemplate. Theologians and church leaders who downplay or ignore the role, symbolism and importance of local clergy, do so at their peril. Clergy are, to deploy the conventional secular idiom, always much more than the sum of their parts (whether they like it or not!). Far more so, in fact, for they always carry the hidden, inchoate spiritual symbolisms, transferences and projections of the communities they serve, quite apart from anything that they themselves might want to say. Perhaps for this reason alone, such a weighty vocation needs to be tempered with humility and wisdom, and infused with character and virtue. It is one of the few roles in which being tirelessly good, kind and gentle might be more important than any achievement, or possibly even than competence. After all, we cherish saints for their kindness, compassion, love, wisdom, resilience, charity and goodness. And we like our clergy to be saints. A person set aside for a symbolic, pastoral and priestly role in any community or context is in an increasingly unusual – some would say unique – position today. The work is not paid, at least in the strict sense of remuneration; but there is often some sort of stipend. The role is not ‘work’, strictly speaking, in the way that the world might understand the concept. For example, there are few prescribed hours, duties and tasks – and yet the role is highly demanding and, at times, intensive. The kind of leadership that one gives in a (largely) voluntary institution is not the same as that given in an organization with clarity between employers, employees and those whom the organization serves. Ministry is easy to describe on a day-to-day basis in terms of tasks; and supporting paradigms – rooted in people and practices drawn from the richness of Christian tradition – are numerous. Yet curiously, ministry remains difficult to define, and the roles increasingly hard to articulate. What, then is ministry like? It is not like teaching, nursing or counselling; nor is it like being a doctor, social worker, solicitor or other profession. It is, perhaps uniquely, a role in a community – whether a parish, prison or other sector – that goes beyond the normal vocabulary for defining work. What is ministry like? In some respects it is rather like a kind of ‘intentional parenting’. That is to say, there are indeed plans and structures for the parish and the congregation; and there is no getting away from the essential value of these for cultivating healthy individuals and relationships. A loving and cherishing household underlies this ecology. But mature parenting is also about accepting that, despite the intentionality of plans and structures, life, like ministry, is a continual stream of interruptions, disruptions and surprises – some of which are welcome, but not all. Ministry, like parenting, is a relatively boundless occupation. 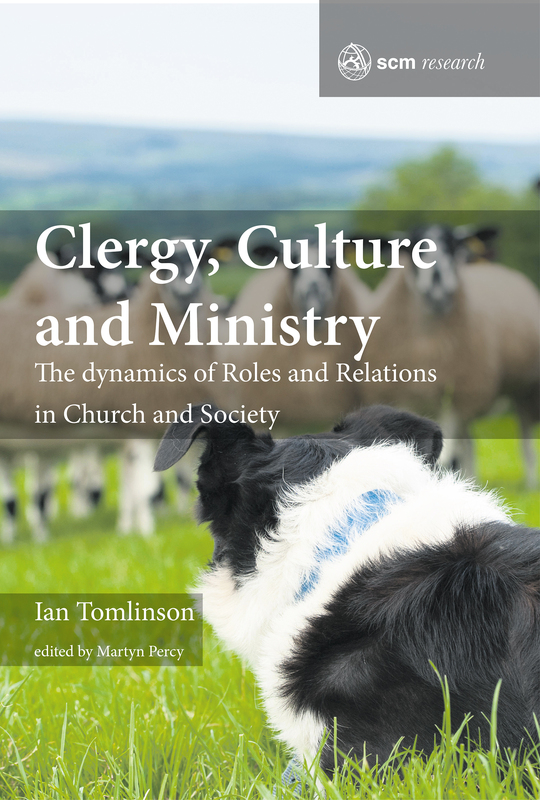 In this regard, Ian Tomlinson’s book is a welcome contribution to our understanding of the role of clergy in today’s world. For all who delve into his text, there is something rich here on roles, relations and identities: to read, mark and learn. Clergy, Culture and Ministry is published later this month. You can preorder a copy now, via our website. Published later this month, Theology Reforming Society edited by Stephen Spencer, tells the story of ‘Anglican Social Theology’, from its roots in the writings and work of F. D. Maurice and the Christian Socialists, up to the present day. In the introduction, extracted here, Stephen Spencer unpacks the book’s origins. There are different ways in which the Church can bring progressive change to society. One is through direct intervention in party politics, such as through founding a political party that seeks to win power. Another is through supporting campaigns for change on specific issues, such as the abolition of slavery, reform of factory working conditions or the Jubilee 2000 campaign for debt relief. A third way is through seeking to change the structures of society as a whole through changing relationships across social groups. It was this third form of social action that provided the subject of a well attended conference at Mirfield in West Yorkshire in January 2017. The conference gave specific attention to a movement of thinking and action that originated in the Church of England in the Nineteenth century and which acquired extensive influence in Britain and beyond in the Twentieth century, a movement now known as Anglican Social Theology. The conference built on a 2014 book, Anglican Social Theology, a set of essays by Anglican, Evangelical and Roman Catholic theologians edited by Malcom Brown. The essays referred in passing to this tradition, one that had its roots in the theological writings and social action of F.D. Maurice and Christian Socialism, then found expression in the work of Brooke Foss Westcott, Charles Gore, Henry Scott Holland and the Christian Social Union, and reached mature expression in what the essays called ‘the Temple tradition’, referring to Archbishop William Temple and, during the Second World War, his influential advocacy of the need for social reform and especially for a welfare state. This tradition later found institutional expression in the work of the Church of England’s Board for Social Responsibility in the 1960s and 70s and in the Archbishop’s Commission report of 1985, Faith in the City. It has found contemporary resonances in some of the lectures and speeches of Rowan Williams when Archbishop of Canterbury. The key feature of the tradition, one that distinguishes it from a number of single-issue campaigns over the same period, is the way it connects foundational theological principles with recommendations for the reform of the social and economic structures of society as a whole. But Anglican Social Theology did not attempt a comprehensive account of this tradition. The task of assessing its significance as a whole was left to another day. It was this assessment that the conference at Mirfield took up. Meeting at the home of the Community of the Resurrection, which Charles Gore founded in 1892, it ran over 24 hours with participants coming from across the country including from Truro, London, Gloucester and Durham. The four main lectures, by Jeremy Morris, Paul Avis, Stephen Spencer and Malcolm Brown, comprised the Scott Holland lectures, a triannual series of lectures founded in memory of Henry Scott Holland. Each one of these was followed by a prepared response from a range of speakers that allowed the discussion to develop in creative directions. Jeremy Morris began the story with an account of the start of the movement in 1848, the ‘Year of Revolutions’ across Europe, when the Chartist Movement attempted to force political change through a mass demonstration on Kennington Common in London. It was this event that made Maurice contact his friend the lawyer John Ludlow saying that “the new Socialism must be Christianised”. Their ‘Christian Socialist’ movement, small scale and faltering at first, wanted to replace the law of competition with that of co-operation in society at large. It found expression in a number of educational initiatives, starting with a teacher training college for women, and in the setting up of some worker’s co-operatives. While these had only limited impact the notion that Christian theology could change the way relationships were conducted in society at large was a novel and ultimately influential one within the development of Anglicanism. Morris argued that Maurice’s social theology was not a sub-branch of his work overall but rather integral to his understanding of his vocation as a theologian. What Maurice wanted above all to achieve was a refocusing of the attention of the Church of England on the social implications of its teaching. Morris also included Octavia Hill in his overview, a follower of Maurice who created some influential housing schemes and became a founder of the National Trust. Alison Millbank, in response to Morris, developed a contemporary application of a number of key themes in Maurice’s work, not least his Trinitarian theology. and made important connections with Citizen’s movements in France and with church initiatives today. She also highlighted the exciting way in which Maurice resisted an instrumental view of education and in its place showed how education is all about discovery and realizing the Kingdom of God in our midst. Paul Avis then took up the story with an account of the life and thinking of Brooke Foss Westcott and Charles Gore, drawing out continuity with Maurice as well as some differences. For Westcott the Incarnation provided the ‘motive, principle and power’ to apply the Christian faith to the problems of life. Like Maurice, he believed that the world was already God’s world, that all people were ‘in Christ’, and that society embodied the divine order: all we have to do is to live in the light of this truth in order to realize it more and more. In other aspects of his thinking, though, Westcott emerged as confined within the late-Victorian mind-set of his time. Gore, manifestly and avowedly an heir of the Tractarians, also shared Maurice’s Christ-centred social vision, though he differed from him and from Westcott in not proclaiming that every person is already ‘in Christ’. One major contrast with Maurice was Gore’s commitment to democracy, including the widening of the franchise to women. Avis also highlighted how Gore differed from Maurice and Westcott in his promotion of legislation to tackle social and economic issues, something that William Temple would also take up in the 1940s. Fr Thomas Seville, a member of Gore’s Community of the Resurrection, argued that Gore’s socialism was closer to the socialism of our own time than that of Maurice. He also described Gore’s radical view of property, that its social ownership should be primary and that the right to property should only be for social needs. Unfortunately there was not enough time in the conference to look at Henry Scott Holland, close colleague of Gore and ultimately professor at Oxford. Happily he is included in Avis’ chapter in this volume. Stephen Spencer then gave an account of William Temple’s contribution, describing the theological and philosophical roots of his social principles and working through the methodology of his social ethics, a methodology that welcomes the insights of those with expertise in social and economic affairs. He highlighted the way that Temple’s methodology is open to the building of coalitions of groups who come from different faith backgrounds and who can agree on the kind of practical objectives he outlines. Temple’s methodology is one that can still be found in use in recent reports on contemporary social issues, showing his abiding significance. Spencer also argued that Temple’s emphasis on the role of intermediate communities, those associations and communities that lie between the individual and the state, is one that is sometimes missed by contemporary commentators and shows his continuity with Maurice. In responding to his paper Susan Lucas showed how Temple and the tradition he represents contains an inherent and necessary critique of the neo-Liberal politics and economics that has been dominant in British and American politics since the 1980s, a critique that still needs to be heard. Finally, in an update to his contribution to Anglican Social Theology, Malcolm Brown argued for the need for the movement to engage with the Evangelical wing of Anglicanism which is currently widely involved in social action up and down the country but lacks theological underpinning for this. The House of Bishops have recently commissioned some resources to address this but more needs to be done. Nevertheless Anglican social theology can offer something of great worth to the deep divisions of contemporary politics, namely a ‘coalition communitarianism’ that resists the increasing atomisation of society and which demonstrates how those who differ in beliefs and values can nevertheless live and work together for the common good. In his response to this, Matthew Bullimore showed how the church at local level can exemplify this, living out a human flourishing based on a conviviality which is much more than just a tolerable co-existence. The leadership of the churches could help to reinforce this contribution which, essentially, is coming up from below. These papers form the basis of Theology Reforming Society. Each speaker has revised and expanded their paper for publication, often taking note of the dialogue at the conference and finessing their argument. Furthermore they have been joined by a chapter by Diane Ryan which provides additional information on Octavia Hil who while one of the lesser known members of the early Christian Socialist circle became, in practical terms, probably its most influential member. Finally Peter Scott, who attended the conference and chaired its concluding session, has provided an ‘afterword’ which gives an acute critique and some constructive recommendations for the future development of Anglican Social Theology. As a whole, then, the book is intended not only to make the conference papers more widely available but to contribute to the ongoing discussion about how to evaluate and apply Anglican social theology in the years ahead. It does this by providing an overview of its development, giving particular attention to key moments and figures in its development, and by assessing the contemporary application of what those moments and figures represent. Recent surveys show a widening and strengthening of social action by churches of many denominations across the country, including the Anglican denominations of the Church of England, the Church of Ireland, the Church in Wales and the Episcopal Church of Scotland. The book is offered to inspire and strengthen reflection on that social action at local, national and international level. Furthermore, with another Lambeth Conference scheduled to take place in 2020, it is crucial that this dimension of the church’s life, an expression of the fourth Mark of Mission, ‘to transform unjust structures of society’, which belongs to all Anglicans worldwide, is brought into sharp and constructive focus. Stephen Spencer is a Tutor at the Yorkshire Ministry Course based at Mirfield and a parish priest in Yorkshire. Theology Reforming Society: Revisiting Anglican Social Theology is published on 30th October but can be ordered from our website at a special pre-publication price. Click here for more details. Since the publication in 1999 of the seminal book on Radical Orthodoxy edited by John Milbank, Catherine Pickstock and Graham Ward, the Radical Orthodox project has become a hugely important part of the broader theological landscape. One of the new generation of leading proponents of Radical Orthodoxy was John Hughes. His contribution to the Radical Orthodox project was tragically cut short by his death in a car accident in 2014. In the introduction to Graced Life, a collection of John Hughes’ writings, Matthew Bullimore, Vice Principal of Westcott House reflects that Radical Orthodoxy offers “a via media” between a wide variety of positions:- “a position of revelatory positivism in which all truth is averred to come from Scripture or the teaching of the Church so rendering all critique otiose”, one in which faith is made “amenable to its critics as far as possible”, or indeed a “‘death of God’ theology that acknowledges the fecundity of religious language while denying it has any transcendent reference.” John Hughes’ unique gift, and perhaps the beauty of Radical Orthodoxy as a whole, was the ability to understand there is no pure nature or neutral secular realm, but that all things can be seen in the light of faith as graced and caught up in the redeeming love of God. Later this month sees the publication of Preaching Radical and Orthodox, edited by Alison Milbank, John Hughes and Arabella Milbank, a collection which was first mooted by the editors before the death of John Hughes. The book aims to offer an introduction to the Radical Orthodox sensibility, this time through sermons preached by some of its most notable proponents, including Stanley Hauerwas, Catherine Pickstock and Graham Ward. The sermons take us through the liturgical year and come from a rich variety of contexts. For a limited time, you can preorder Preaching Radical and Orthodox at a special pre-publication price. Click here to find out more. 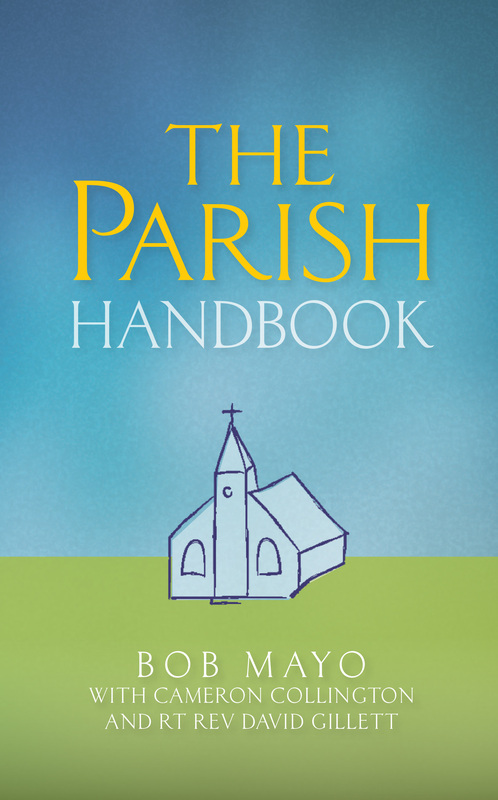 SCM Press has long played its part in thinking about the place of the parish in the ministry of the church and in wider society – from David Cockerell’s classic Beginning Where we Are: A Theology of Parish Ministry first published in 1989, through to Andrew Rumsey’s recent publication Parish: An Anglican Theology of Place. same time different genders, ages, race and class. Brueggemann (2007, p. 52) says that the Church’s work is the gathering of others, not the ones who belong obviously to our social tribe or class or race. If you look at a group of people and see no immediately apparent reason why they are together, then you are likely to be in a church. There is nothing so capable of transforming people’s lives as a church in love with Christ. The truth of Christ is Scripture revealed, tradition formed, community shaped and individually learnt. The mission of the parish church is to gather together people who might not otherwise have met. Young parents want assistance. Older people want companionship. Young people want encouragement. All want simple friendship and meet together in the name of Christ. It has now officially been recognized that the best place for people of different cultures to meet is in a church. A 2014 report published by the Social Integration Commission identified that churches and other places of worship are more successful at bringing people of different backgrounds together than gatherings such as parties, meetings and weddings, or venues such as pubs and clubs. While spectator sports events are the most successful at bringing people of different ages together, churches are the most likely place for people from different cultures to meet. The older inherited forms of church are relevant to society precisely because of their non-conformity to contemporary culture. would be built and span their lives with beauty. morning I dream of the world’s rejuvenation at Christ’s return: ‘The wolf will live with the lamb, the leopard will lie down with the goat, the calf and the lion and the yearling together; and a little child will lead them’ (Isa. 11.6). is a dialogical presence at the heart of the community, pointing to an eschatological reality beyond. The Church is a prophetic minority, not a moral majority. Coming together in the name of Christ is an act of hope in which we imagine how the world would be different to how it is were the Kingdom of God here on earth. We act as if it could be, and then find that in so doing it is becoming so. In a Church built on the resurrected Christ, ideas shape energy, imagination shapes organization, possibility shapes pragmatism. Sociologist David Martin writes that if the Church does not concern itself with mystery, transcendence and worship, then it might as well pack up and go home (Martin, 2002, p. 140). The tolling of the church bells on Sunday morning, calling people to worship, represents the universal Church to the particular parish and also the particular to the universal. As parish churches act out the life of Christ in their local communities, they are speaking with the weight of 2,000 years of history behind them and 2.1 billion Christians worldwide alongside them. Bob Mayo is a vicar of Shepherd’s Bush and a part-time member of staff at St Mellitus and at St Michael’s Llandaff (as well as being chaplain to Queen’s Park Rangers). He teaches Ministry Skills and Youth and Community Work in both institutions. He was Director of Youth Ministry Training at Ridley Hall and one of the co-authors of Making Sense of Generation Y (CHP 2008) and The Faith of Generation Y.